This is the second recipe from my series “Back to school snacks”. You can find the first recipe, “Back to school biscuits” here. 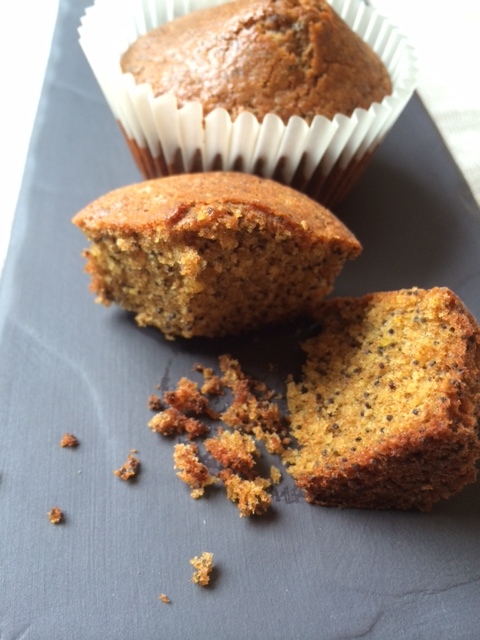 I love the traditional lemon poppy seed muffins, but not loaded with nasty stuff. I don’t like them when done with wheat flour as I feel strange (understand bloated) after eating them. So I decided to make a healthier version of them. They’re ideal for a snack (better accompanied with fruits and may be some nuts) and take no room in a kid school bag. They are easy and quick to make and last several days kept in a tin box. Preheat oven on 180C fan. In a bowl combine the flours, the bicarbonate, the sugar and the baking powder. Add the milk and mix all the ingredients together. Add then the eggs and mix until well combined. Incorporate the butter and the lemon zest and mix well all the ingredients. Finally add the poppy seeds and combine without over mixing. 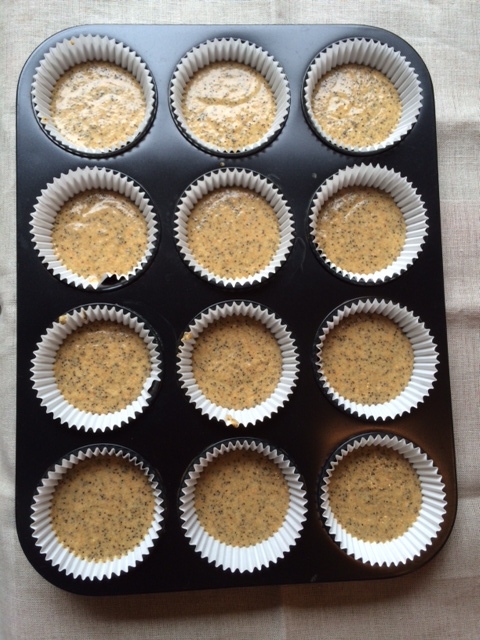 Spoon into a 12 muffin tin tray and bake for about 25-30 minutes. When the muffins are done, a cake tester will come out clean. 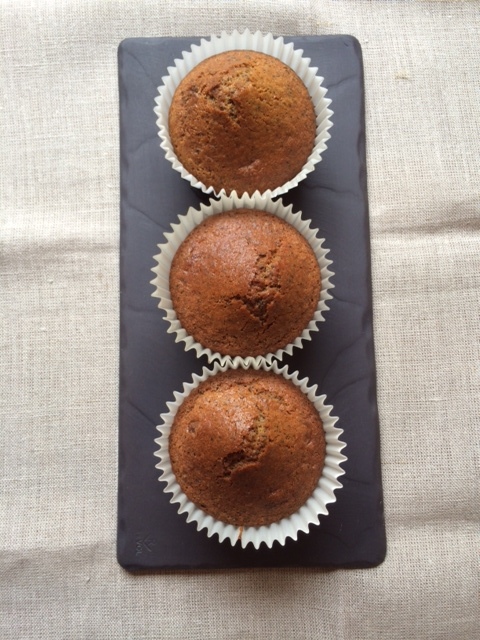 As usual, as I am working with non-bleached rustic flours, especially the millet flour, the cakes or muffins will always have a darker colour.